Hey Coach Greg here, have you tried the new Cafe Latte Shakeology yet? I have and it’s the BOMB! I hosted a coach event this weekend for 1200 coaches and served them the new Cafe Latte and EVERYONE loved it. We served it plain with only ice and unsweetned vanilla almond milk, and it was DELICIOUS! I can tell you that coffee drinkers and non-coffee drinkers where raving about it. In my opinion, this is the healthiest meal replacement shake on the market. If you are looking to lose weight this year, and you want something to improve your health then you definitely want to try this for 30 days! Want a FREE workout program with it? Then message me to learn how. 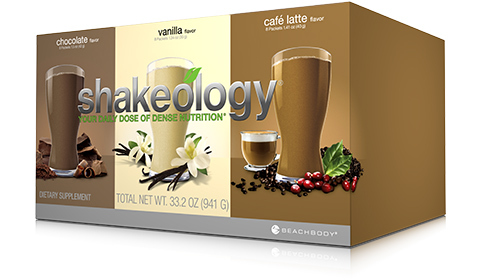 Café Latte, Shakeology’s newest delicious flavor. Formulated with Whole Coffee Fruit*—a new superfood powerhouse native to regions of Mexico and India—this shake not only boasts a great coffee taste, it only has 25% of the caffeine you’d typically get from an 8 oz. cup o’ Joe. And since Café Latte uses the whole coffee plant (not just the bean), we’re significantly reducing our carbon footprint! 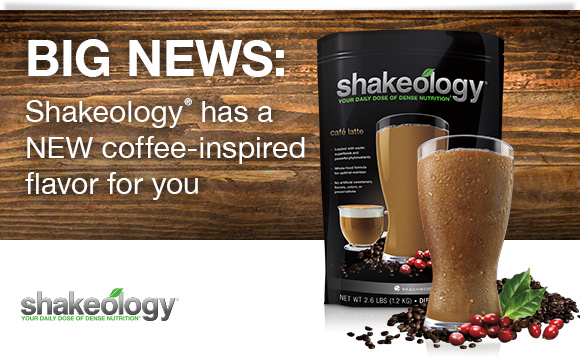 To learn everything you’ve ever wanted to know about Café Latte, including decadent shake recipes like Honey Nutty Latte, check out our Shakeology blog. —Team Beachbody Coach Sarah T.
Ready to update your Shakeology order? If you’re up for trying something new, use this form to update your order. Updating your order is as easy as blending up a shake. Really, it is! No need to say goodbye to your current favorite flavor while trying Café Latte. We also created a Barista Triple Combo Box that contains 24 single-serving packets of Chocolate, Vanilla, and our NEW Café Latte (8 packets of each flavor).